Food allergies are a medical condition where exposure to certain foods trigger an immune response. Symptoms can range from mild to severe, and in some cases, some even cause death when anaphylaxis has a sudden onset. 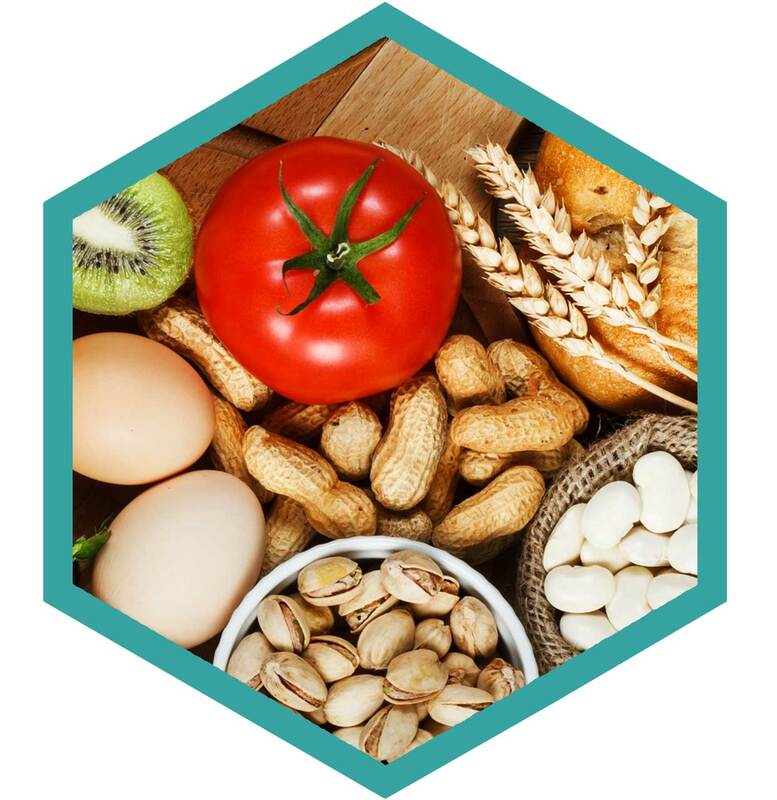 According to the US Food and Drug Administration (FDA), there are over 160 foods that cause allergic reactions with eight identified by law as: milk, eggs, fish, shellfish, tree nuts, peanuts, wheat, and soybeans. The World Health Organization (WHO) estimates there are approximately 250 million people worldwide who suffer from food allergies and the numbers continue to rise. While many countries still lack legislation that requires labels for food products, for those that do, including the US, consumers rely on accurate information from food producers and processors to understand what is in their food. You may believe your food processing facilities are keeping the product lines, equipment, and rinse waters clean – however, these are the places where allergen cross-contamination most often occurs. If you look closely at some of the food packaging in your own pantry, you may notice that the ingredients listed on the packaging may not have one of the eight allergen foods that are identified by law to be included in the ingredients list, but you may still see one or many of the items listed as being processed at the same facility. This is why allergen control is so important at your food processing facilities. There’s no better partner to trust than Charm for accurate, science-based tests that ensure you avoid allergen contamination in your products. The Charm AllerGiene swab is an ATP-based allergen control test designed to prevent cross-contamination from allergenic food soil that ends up on processing equipment. It measures ATP (adenosine triphosphate) at low levels to indicate the presence of food on wet-cleaned surfaces or rinse waters. By achieving a higher level of “clean” you can be confident that you have your allergen control programs managed at the high levels you require. The Aller-ROSA Milk Test detects the presence of milk allergens, casein, and/or beta-lactoglobulin in rinse water or on food contact surfaces. According to the US Food and Drug Administration (FDA), there are over 160 foods that cause allergic reactions.